Book copying and printing was all the rage during the Middle Ages, and without Facebook and Twitter to distract them, those monastic scribes had all the time in the world to create some truly beautiful font styles. Let’s bring them back with today’s discount software promotion, Elegant Mediæval Fonts! Elegant Mediæval Fonts is a collection of 32 fonts from European countries like Germany, England, and Ireland. With Elegant Mediæval Fonts, you’ll be able to use ligatures, umlauts, and other elements that will declare you to all who see as the ultimate authority on Mediæval Fonts! In fact, Elegant Mediæval Fonts is so deep, many of the fonts that are included in this package also feature alternative umlauts. 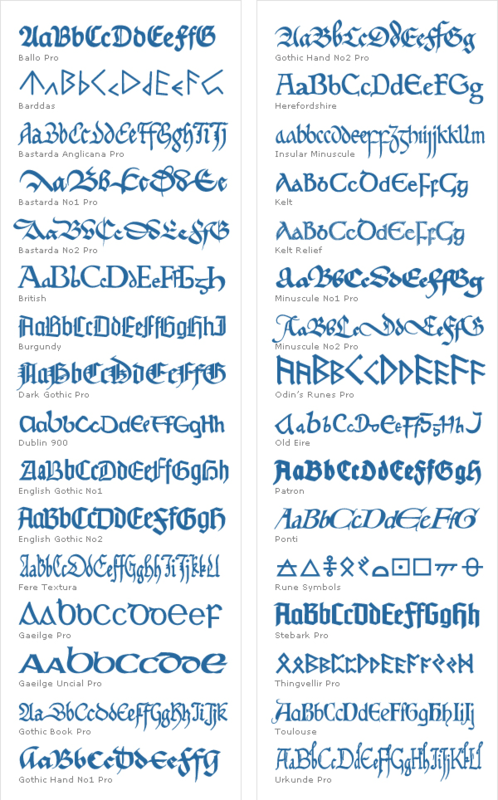 So if you’ve got a project that focuses on the Middle Ages, you need to get Elegant Mediæval Fonts to make your life complete! After you purchase Elegant Mediæval Fonts it may be used indefinitely.